Bosch Packaging Technology is planning to showcase two new two filling technologies producers of dairy products and other pumpable food at the upcoming interpack 2017 event scheduled to be held in Germany. The firm will showcase the Osgood rotary filling and sealing machine for pre-made cups as well as the latest Ampack FCL aseptic linear filling and sealing machine for pre-made cups. Designed to enhanced product safety, flexibility and efficiency, the two products are intended to address the market requirements for dairy producers, such as hygienic operation, from low to high output, compact spaces, and ease of use. At interpack event, which is scheduled to take place from 4-10 May, Bosch will introduce Ampack’s new FCL 3080 A aseptic linear filling and sealing machine designed for dairy, baby food and clinical nutrition, to enhance product safety. 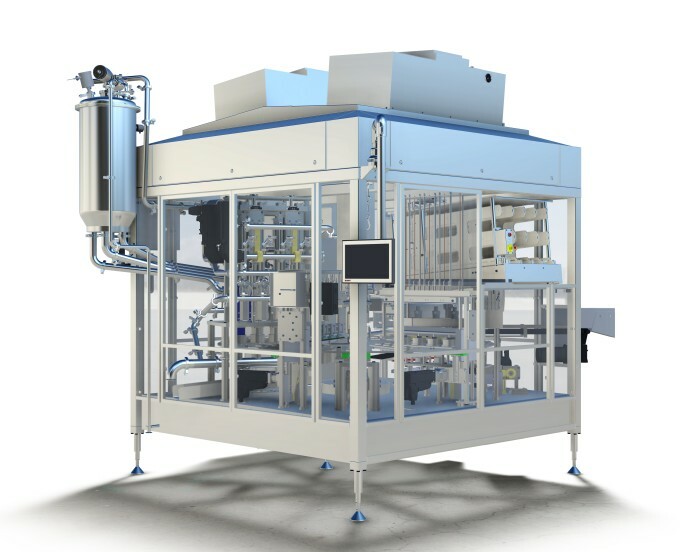 Featuring smaller aseptic chamber, the machine chain is kept outside of the aseptic chamber to reduce bacterial build-up and maintenance needs. The machine has eight-lane linear filler which can handle two different cup formats ranging from 75 to 95 millimeter in diameter and at speeds of up to 20,000 cups per hour. Bosch will also display an upgraded version of its existing Osgood rotary series which can handle smaller cups at speeds of up to 9,600 products an hour on four lanes. The machine, which is available in both clean and ultra-clean execution, can fill a range of different pack styles depending on the final application. Image: The Bosch’s upgraded version of existing Osgood rotary series. Photo: courtesy of Robert Bosch GmbH.